While many reviewers and enraged Megadeth fans have panned the new single “Supercollider”, one man has taken his criticism a step further. Dr. Josef Kranken, a researcher recently fired from the Monsanto Corporation, claims that, in a study conducted using one hundred volunteer 8-year-olds from a Phoenix elementary school, he has found evidence that repeated exposure to “Supercollider” could lead to inflammation of the liver consistent with the Hepatitis X virus. 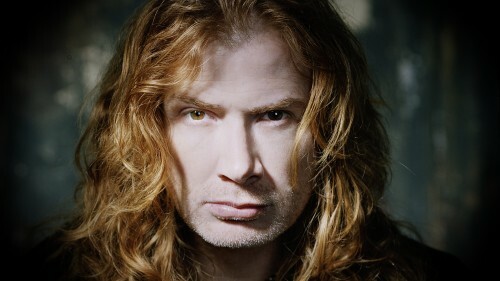 Of the 50 children infected with the new Megadeth song, 46 of them developed symptoms within 3 to 5 hours. The other 50 students, who only listened to songs off of “Rust In Peace”, showed no immediate health issues and, in fact, scored higher on standardized tests the following day. Up until recently, Hepatitis X was referred to as Hepatitis D. The virus changed its name during its conversion to Islam while in prison in 2010. It is best known for causing an enormous growth in the size of people’s ears and large, droopy sacks of skin to bulging from a person’s forehead. If not treated within 48 hours, it can lead to teeth growing out of the back of the victim’s neck. Kranken, who graduated from University of Phoenix in 1979 with a degree in botanical psychology, was a top researcher for the Monsanto Corporation for over 20 years. He worked on some of Monsanto’s most infamous projects including the one that convinced the company to market Posilac (or rBST), a chemical that has been known to cause extreme suffering in cows. In his 1993 review of the effects of Posilac, he concluded that cows “might actually grow to enjoy the feeling of having gargantuan, swollen utters”. Monsanto fired Kranken in 2009 when he refused to work on a program designed to create 1000-pound flesh-eating rats for the Chinese military. This entry was posted on May 1, 2013, 7:22 AM and is filed under Health Tips for An Early Death. You can follow any responses to this entry through RSS 2.0. You can leave a response, or trackback from your own site. Whaddayamean I need a vaccination?? Where sarcasm and reality come together and make sweet, sweet love.